OnTime Service will be opening the doors of our new office in Daphne, AL to service the East Mobile Bay area on Monday, April 1st! 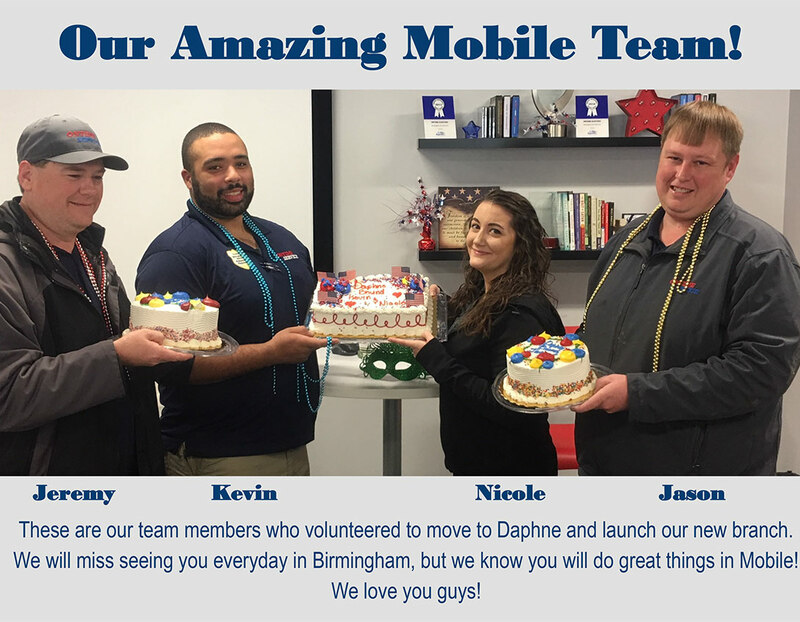 We have four team members who are moving from Birmingham to Mobile in order to serve future customers in the new location: Jeremy, Craig, Nicole and Jason. We’re so thankful for these team members and the dedication they have to our company and our loyal customers!